As is seen in the video, without a corset my blood pressure was 117/80, which is close to the normal BP of 120/80. About 5 minutes after lacing down approximately 4 inches in one of my underbust corsets, my blood pressure read 122/88. I will explain what this means at the end of this entry. Firstly, how does blood pressure work? The systolic pressure (higher number) is the pressure of the blood when your heart is making the pumping motion, so this is highest pressure. The diastolic pressure (lower number) is the blood pressure at the moment that your heart is resting between pumps, so this is the lowest pressure your blood has. At any other time in the motion of the “pumping”, your blood pressure is somewhere between the systolic and diastolic pressures. Most of the time (excluding when a woman is pregnant) a healthy person will have about the same amount of blood and the same viscosity. This means that blood pressure will mostly depend on the size of the “tube” (arteries and veins). The smaller or skinnier the blood vessel, the higher your blood pressure becomes. Today, one of the most common causes of high blood pressure is arterial plaque. As plaque builds up on the inside of your arteries, the circumference through which the blood has to travel decreases in size. Your heart has to work harder to pump the same volume of blood through it, and your blood pressure increases. In 1989, the Journal of Strength and Conditioning Research published a study called The Effects of a Weight Training Belt on Blood Pressure During Exercise. This study demonstrated that when weight lifting, the support belts that the men wore increased their blood pressure. After testing my own blood pressure in and out of a corset several times, I realized that corsets can do the same! This makes sense, as the pressure from a tight belt or corset can constrict the blood vessels in the abdominal region, making it harder for blood to flow through that region. Let’s consider the first part: your corset is just being tightened and your circulatory system hasn’t responded yet. Since all things are affected by gravity, what usually happens is the blood more easily flows to the lower region of the body, but has difficulty getting pumped back up to the heart. This will cause a greater volume of blood and a greater pressure in the legs compared to in the upper torso, arms and head, where pressure is lower. (By the way, weak valves in the veins can also cause blood pooling in the legs and varicose veins, which is why many older women wear compression stockings to help get the blood back up out of the legs). Why does a person faint from low head blood pressure? When a person faints, their body falls down from a vertical to horizontal position. When you’re lying down, your head is at the same level as your feet – your blood pressure becomes more uniform all throughout your body (relatively speaking, lower in the legs, higher in the head). When your brain gets enough blood and enough oxygen, you regain consciousness! Now let’s consider the second part: say you have a strong circulatory system and your heart has adjusted to the tightness of your corset. The harder it pumps blood down to the legs, the harder the blood gets pumped back up to the heart – this is a good thing; you’re not pooling blood in the lower half of your body. But the body can only control pressure in a certain part of your circulatory system so much; it can’t control the lower and upper halves of you body independently, so the blood pressure everywhere else (i.e. above the corset in the chest, head, arms) is increased as well. Have you ever heard of the myth that a lady shouldn’t get angry lest she get a nose-bleed? This is because (corset or no corset) when a person becomes scared, angry or upset, the blood pressure rises in the whole body as part of the “fight or flight” response. If any blood vessels in that person’s body has a thin or weak lining, then high blood pressure can cause that lining to break. Often the nose has thin, delicate blood vessels, so if blood pressure is high enough it can cause a nose bleed. If this happens in any delicate vessels in the brain, it’s called a stroke. My corseted blood pressure, 122/88, is considered pre-hypertensive; however I didn’t demonstrate how this pressure can change after the body has settled in the corset for a few hours. Nonetheless, based on the study done in 1989, my personal experiment and the BP monitoring of other tightlacers, it’s been shown that a corset can indeed raise your blood pressure somewhat. To what amount will be different for everyone. This is important because if you are a more mature person who is interested in corseting, if you’re not in optimal health and/or if you are predisposed to hypertension, you must approach waist training with caution. I will return to this topic at a later time, at which I’ll monitor my blood pressure regularly throughout the day and during various emotional states to demonstrate the large range of blood pressures in one person. Lucy’s Little Life Lesson: Know thyself (including thy medical stats). 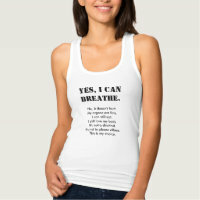 You can faint from hyperventilation (breathin too deep and/or fast) yes, but it’s not because of too much oxygen. It’s because of too little oxygen in the cells. No matter how tiny and little breaths you take, your blood oxygen saturation will be 95-100%. There’s 21% oxygen in the air, 16% you breathe out again, because there’s not enough hemoglobin to bind with. If you breathe more air, you will simply blow out more oxygen. Now that is not the problem. The problem is the carbon dioxide you blow out with it. The carbon dioxide in the body is produced at a steady rate. So if you breathe more, you breathe out more and if you breathe out more, you lose too much carbon dioxide. We need carbon dioxide for oxygen absorption into the cells amongst other things. With too little carbon dioxide hemoglobin holds unto oxygen, so the oxygen stays in the blood and doesn’t go into the tissues. This is called the Bohr effect. This is why you can faint from hyperventilation, the brain is protecting itself. By fainting the hyperventilation cannot continue. I have a strange reaction that I can’t find anyone else has had. 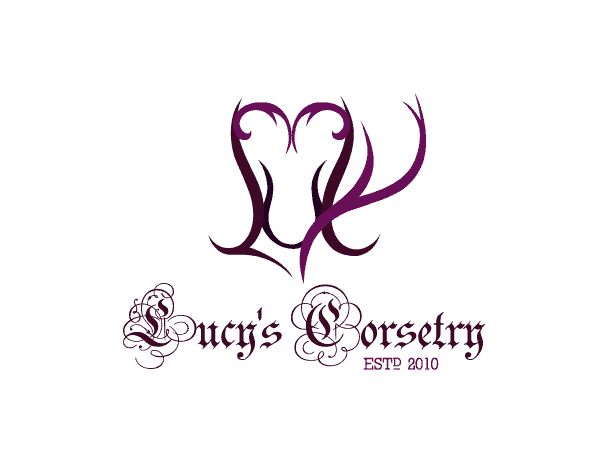 My reduction is 2” and is very comfortable however when I wear my corset I loose my sense of taste…. I can’t find any nerves in the torso that attach to the tongue so I wondered if it’s blood pressure. Have you ever heard of this happening before ? Hi Hannah, I haven’t heard of this happening before with corsets! When looking it up, I see that loss of smell or taste is a side effect of blood pressure medications, but that’s probably not helpful here. Another possibility is a change in stress levels / hormones. A few people will get a dull or metallic taste if they are nervous. If you are concerned I would speak to a doctor about it. My blood pressure tends to run pretty low. I have a tendency to black out briefly (like everything goes dark before my eyes and I feel very dizzy), when rising too quickly. In college I was actually on meds to Raise my BP. I started wearing my CS 426 about a month ago. I’m wearing it with a 3 inch lacing gap (it’s a size 22 and my natural waist is 27″). I tend to feel dizzy when I take it off after more than 2 hours wear. I suppose a sudden drop in BP when I take it off? Hi Alchemist, some of my friends have PoTS and they use corsets to raise (and regulate) their blood pressure to prevent fainting or light-headedness. They recommend unlacing quite slowly (gradually loosening the corset over 5 minutes, for instance, instead of all in one go) which gives the body time to acclimatize for the difference in pressure. I had heart surgery, CABG x4. Here is the problem. They want my blood pressure to be higher. So, I got the idea to wear a corset to see if it made a difference. When reading, it appears that a corset can raise your blood pressure. I am not looking for this to be a permanent thing. I am hoping that perhaps wearing a corset for a decent amount of time will make my heart work more efficiently, increase my BP naturally, and avoid any medications, but get my BP back to wear it should be. Anyone have any feedback on this idea? I tried it tonight for just a few minutes…..corset on = 103/74. Corset off = 98/70. Hello Terri, I do know of several friends and colleagues who have chronic low blood pressure and/or POTS (postural orthostatic tachycardia syndrome) as a result of poorly managed hypotension, and they wear corsets to normalize their blood pressure and prevent them from passing out. A few of them wrote about their experiences in my book Solaced (you can read the summary of physical benefits of corsets here for free) but because you’re a heart surgery patient, I would run the idea of wearing corsets by your family doctor and/or specialist, just in case. Everyone’s experience is a little different, and they are far more familiar with your medical history! I should inform you that I used this article as well as the video as the source material for some additions to the Wikipedia article on the effects of tightlacing on the body. I included your name as well as your company name and I hope you feel comfortable with these changes, or else either let me know, or simply delete these changes. Thank you Alice, I’m fine with you sourcing my experiments on Wikipedia. :) I appreciate you letting me know. Hello Marilyn, what you did is called “overlacing”, or as some people call it, “crush lacing.” Corsetry is not something that people should jump in with both feet and tough it out by going as tight as possible for as long as possible. If you do this, you can end up injuring yourself and/ or destroying the corset. A well-made corset used responsibly should not give you dizziness or headaches, and should never ever hurt. A corset also always needs to be gently seasoned before wearing tightly, just like breaking in a new pair of shoes. I have a playlist here on how to season your corset properly – the 10th video is where I talk about tension headaches. I am an older lady 45 with LOW blood pressure.It makes me very dizzy at time.When I stood up at the doctors office it dropped to 82/56 It is normally 90/58 or slightly higher.Do you think a corset would help to raise my blood pressure so I am not always feeling faint?BTW,I have NEVER passed out I just get lightheaded. Hi Jeannie, from talking to people with low blood pressure, I’ve found that it really depends on the person. Some people with low blood pressure have experienced some improvement by wearing a corset and have reported feeling less faint at times. Other people have told me that their body soon adjusts to the corset and they feel as faint as ever. I suggest (if your doc is okay with it) trying a corset at a light reduction and seeing how it works for you. Try to choose a company that gives a guarantee so you can return the corset if it doesn’t work out for you. For instance, Timeless Trends allows you 45 days to try the corset and you can return it for any reason. Cheers! Thanks,I am so sick of feeling dizzy all the time. I will def talk to my doctor.